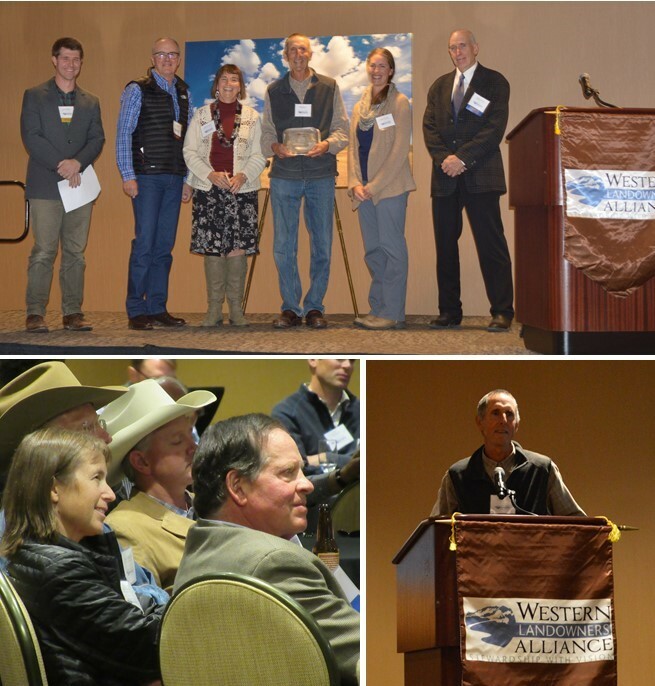 Western Landowners Alliance recognized Montana resident Bill Milton with the first annual “Lands and Livelihoods Award” for his exceptional contributions to the stewardship and conservation of working lands throughout Montana. Before a crowd consisting largely of leaders in agriculture and conservation last night, WLA Associate Director Cole Mannix praised Milton for his lifelong commitment to caring for land and community. Over the last 40 years, Milton has worked with a number of organizations. He was a founding board member of the Montana Land Resilience and continues to participate in—and sometimes facilitate—many working groups in central Montana, including the Musselshell Watershed Coalition, the Winnet ACES, the CMR Community Working Group, and the Musselshell Valley Community Foundation. Milton has a particular interest in helping ranchers and local communities figure out how to monitor the health of the working landscapes and communities. Article by Virginie Pointeau of Western Landowners Alliance. previous post: How Does America Use It’s Land?